Previous version Chrome Browser 59.0.3071.92 apk for Android will help you to downgrade or install older app easily. This is one of the best Communication apps. All you have to do is sitting down and your browser will bring anything that you wish to search from the internet. This browser will allow you to browse anything in the internet and download anything from the internet as well. You can download content, pictures, videos, or anything from the internet faster and with no difficulties at all. Downloading from this app is also going to save your mobile data up to 50%. So, do not worry about draining your mobile data when you browse the internet and download many stuff. Tired of typing anything? Google Chrome browser has voice search feature in which you can literally talk to your device and your device will show the result that you want. This is an amazing feature that you can use to make your life easier. 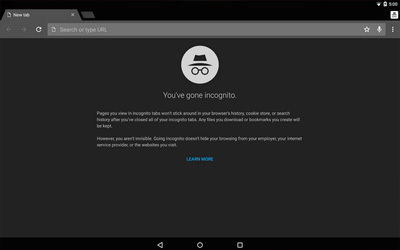 This browser can provide you with more privacy since it has incognito mode. This mode is capable to be used in browsing freely in the internet without even saving any of your browser history. Your secret and privacy will remain be secret and privacy with it. Always come back to Chrome it just works on so many sites I use, better than the other browsers.